Although most of us have a pretty good idea on where to hang a mirror in our home, they're often times far more versatile than we initially think. They can be one the best tools in the small space owner's back pocket and our personal opinion is that you can never have too many! Group Them Together: While larger mirrors can be quite pricey, many of us don't have the budget for such things. 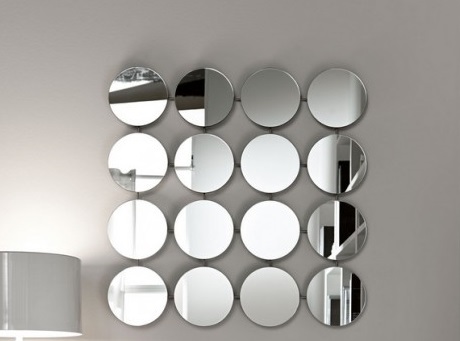 Smaller mirrors are found at discount or thrift stores quite easily and with a super small price tag on them. Paint their frames all the same color and group them on the wall in the same place. The look will be organized without feeling cluttered. Behind The Stove: Although they're bound to get a little greasy or dirty eventually, it's not like mirrors don't clean up easily. Behind your stovetop is traditionally a rather dark area in your kitchen. 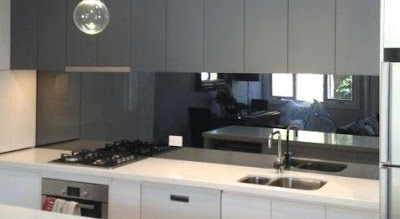 A mirror will bounce any available light around, not only making it easier to see the meal you're preparing, but make it a more enjoyable place to stand. 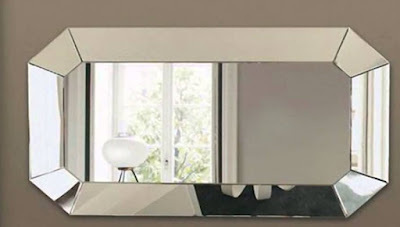 Next To Your Dining Room Table: One of favorite places for a mirror is right next to the dining room table. Like you see in many restaurants around the world, this allows for softer lighting to be used, while still keeping the area light and bright. Think of it as mood lighting that still allows you to see your dinner plate! Layer Them Up: Why have just one mirror when you can have several? By making an entire wall mirrored and then adding smaller, defined mirrors on top, not only are you creating a larger more open-feeling space, but you'll also be giving depth to the space without weighing things down. Beautiful Backsplashes: We keep coming back to the kitchen, but there's so many ways to use mirrors in this well used room. The backsplash is the perfect place for a little reflection. It will make any under counter lighting extra bright or allow you to go without such things and use the natural light throughout the room. Fake Mirrored Furniture: Like covering your cabinets above, you can fake expensive designer prices and simply use a glass cutter and mirrored tile found at your hardware store. Although it's a more labor intensive option, the results can be quite amazing if you're starting with a piece that has good shape to it already.